Classified » Business & Office » Businesses for Sale » Tikar Getah is the best solution for your problem!!???? Please take care. You do not fall anywhere!!???????????? Want non-slippery & long-lasting flooring? We have that!! Tikar Getah is the best solution for your problem!!???? Get it today and save more!! 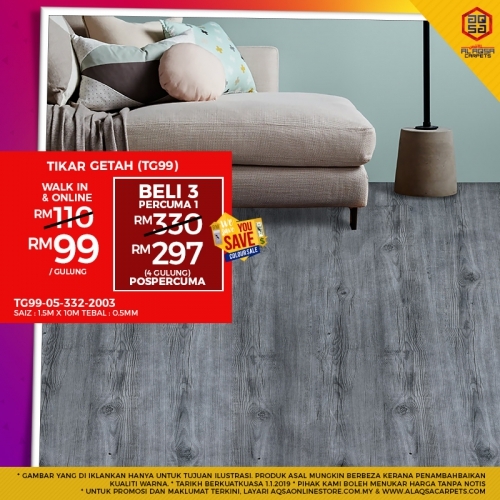 Buy Just From RM99/Roll From Alaqsa Carpets, Save 10% & Enjoy Everyday!! The +Offer is available on Tikar Getah!!???? Contact with Product pro & get your quote instantly! Buy Online & Save Time! !